Christiansburg Mennonite Fellowship in Christiansburg, Virginia, 2013. 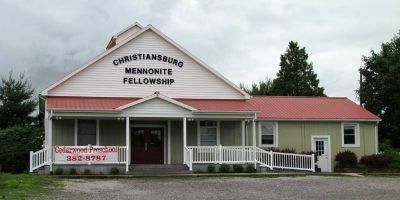 Christiansburg Mennonite Fellowship is located in Christiansburg, Virginia. It was founded in 1982. In 2014 it was served by Minister David D. Flowers and had a membership of 50. Thiessen, Richard D. "Christiansburg Mennonite Fellowship (Christiansburg, Virginia, USA)." Global Anabaptist Mennonite Encyclopedia Online. April 2014. Web. 21 Apr 2019. http://gameo.org/index.php?title=Christiansburg_Mennonite_Fellowship_(Christiansburg,_Virginia,_USA)&oldid=117418. Thiessen, Richard D. (April 2014). Christiansburg Mennonite Fellowship (Christiansburg, Virginia, USA). Global Anabaptist Mennonite Encyclopedia Online. Retrieved 21 April 2019, from http://gameo.org/index.php?title=Christiansburg_Mennonite_Fellowship_(Christiansburg,_Virginia,_USA)&oldid=117418. This page was last modified on 6 April 2014, at 07:06.